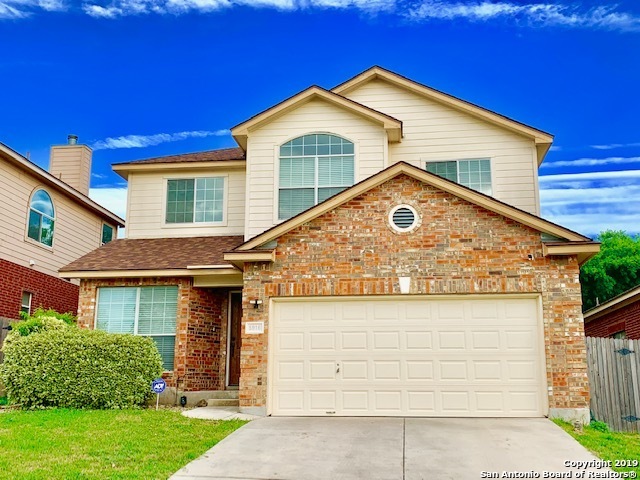 All Leon Valley homes currently listed for sale in Leon Valley as of 04/22/2019 are shown below. You can change the search criteria at any time by pressing the 'Change Search' button below. If you have any questions or you would like more information about any Leon Valley homes for sale or other Leon Valley real estate, please contact us and one of our knowledgeable Leon Valley REALTORS® would be pleased to assist you. "Totally renovated home. Great neighborhood minutes from Medical Center area. Open floor plan. Wood floors. Gorgeous new spacious kitchen with white subway tiles, white quartz countertops, white cabinets and all new stainless steel appliances. Completely renovated bathrooms. All new windows, all new ceiling fans with 2 HVAC systems. Custom Barn Doors and Barn Door cabinets in Family Room with stained concrete floors which includes pool table. Huge walk-in storage areas Beautiful outdoor entertain"
"This beautiful open floor plan home with tall vaulted ceilings is located outside of 410 off Bandera Rd. Stained concrete floors welcome you into a beautiful dining-living room combo, with a wood burning fireplace. The master bedroom is conveniently located downstairs, with a bonus room and 3 bedrooms up. AC replaced 2018, roof replaced 2016. Backyard has a covered patio with a spa, and mature, manicured trees throughout the lot. Refrigerator to convey with the property." "Seneca Estates is one of the most desirable neighborhoods located just outside of 410 off Bandera road. This gem will shile with just a little tlc. Dual Master Bedrooms downstairs with ensuite, massive lot, kitchen made for large family gathering, covered patio with grill area, storage shed, utility room and a separate mudroom inside. 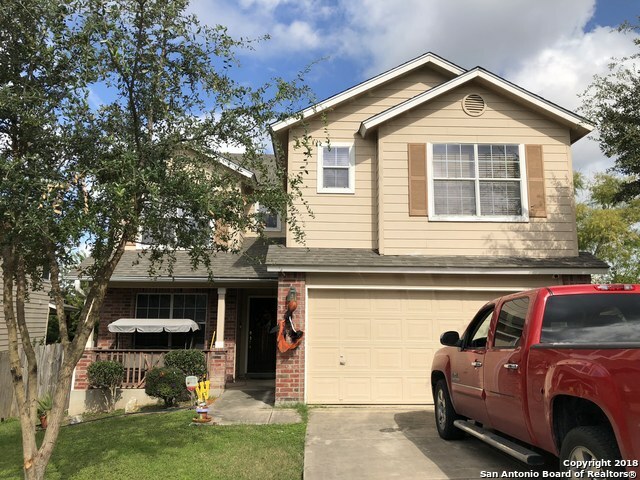 Call for details"
"This beautiful two story, 4 bdrms & 2.5 bath home in Leon Valley features soaring high ceilings at the entrance and covered patio. Many upgrades, includes new kitchen granite counters, laminate wood floors, carpet and fresh paint.The kitchen overlooks the family room and a breakfast nook. The master bedroom suite features a massive walk in closet, separate garden tub & shower. All bedrooms have walk in closets. New roof installed Dec.'16 & AC replaced '17. 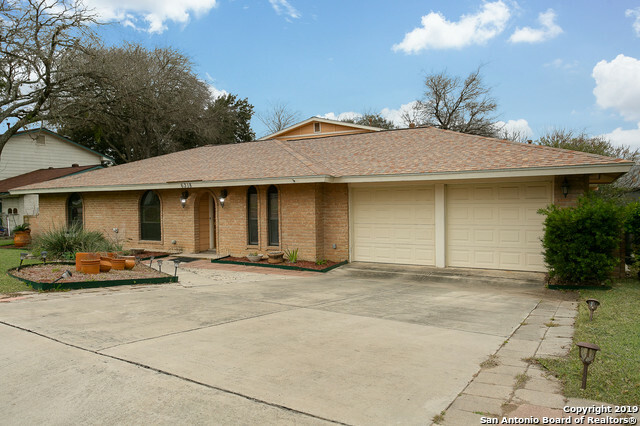 Near Medical Ctr, Loop 410, & across Dr"
"1 story home in Leon Valley. Needs work. Divorce Sale. All offers will be presented."